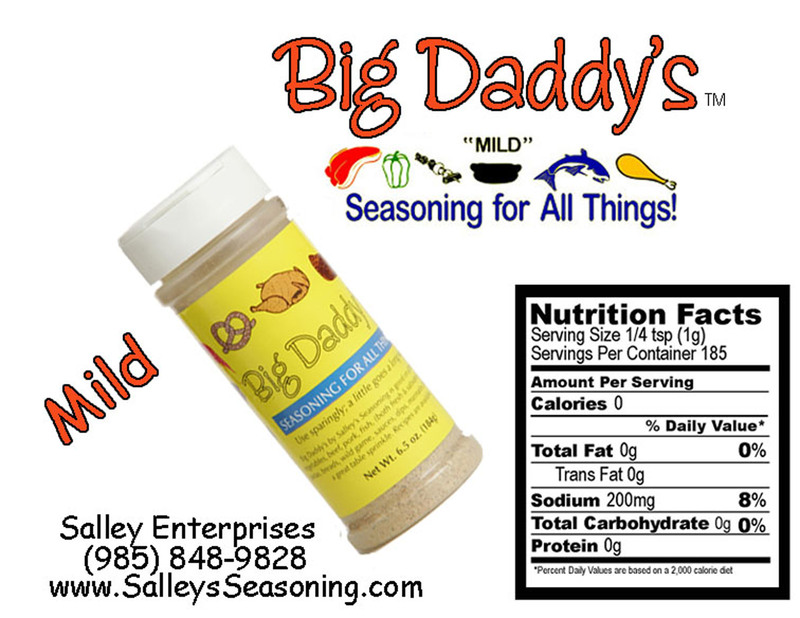 Our MILD SEASONING is great on all MEATS and VEGETABLES. It is a mixture of eighteen different ingredients. It has no MSG’s and is 33%(200mg) lower in sodium than our leading competitor. It took years of taste testing to get the right taste and flavor that we were looking for. Now it is blended perfectly every time. 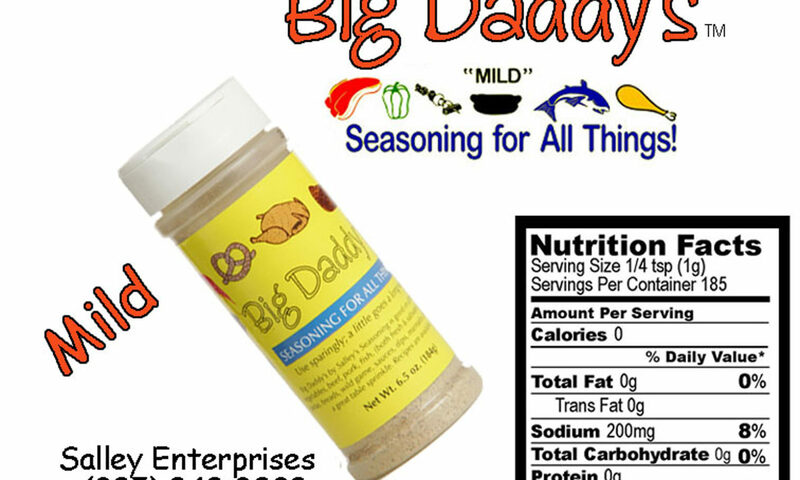 After twenty-five years of making the seasoning for family and friends, with their encouragement, we decided to put it on the market and share it with everyone. Our seasoning has a wide range of usages. Use sparingly, until you get the taste you are looking for. 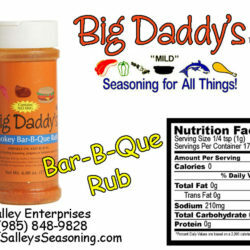 Check our website frequently for more information about our products and recipes!